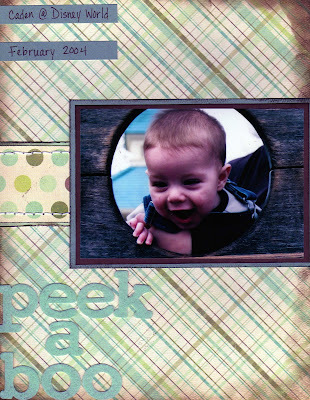 Have you ever tried sewing on your scrapbook pages? Here a look at a page I did this morning. I thought I would add a little detail by adding some stitches to the page (I have never tried this before) I think the results were pretty good. Yeah, it's time for CHA!